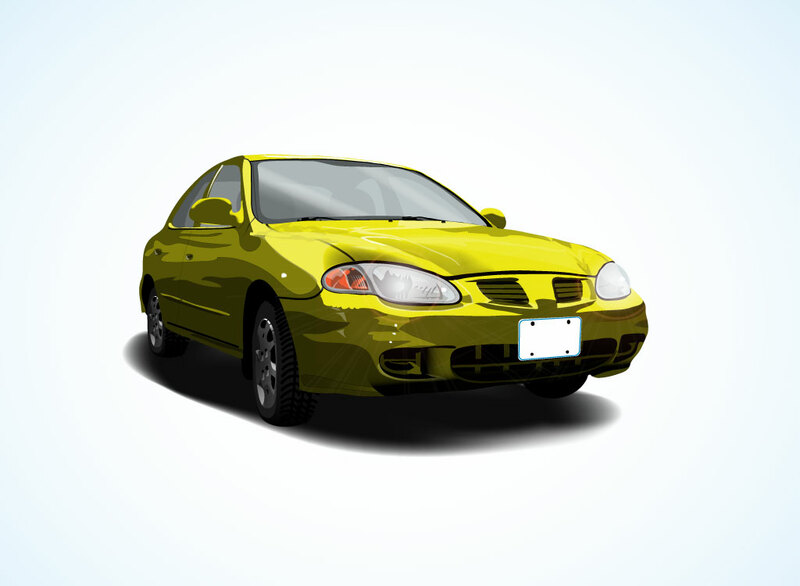 Vector threshold style full color graphic of a yellow 4-door passenger car. Lots of detail with subtle highlights and a cast shadow and great perspective for lots of depth. Download this free automobile graphic for your automotive blog or use it with an accessory product promotional design. Tags: Auto, Drive, Grunge, Old, Ride, Speed, Traffic, Transport, Vehicle, Wheels.